I've spotted this big man without hair in only 2 movies so far: Pasolini's Salò and Bruciati da cocente passione. In both he had a relevant speaking role. These 2 movies were shot in 1975-1976 in northern Italy, so he shouldn't be one of the usual generici in Cinecittà. Maybe he was credited in Salò, but certainly not in Bruciati.... because we know all male credits in that movie. 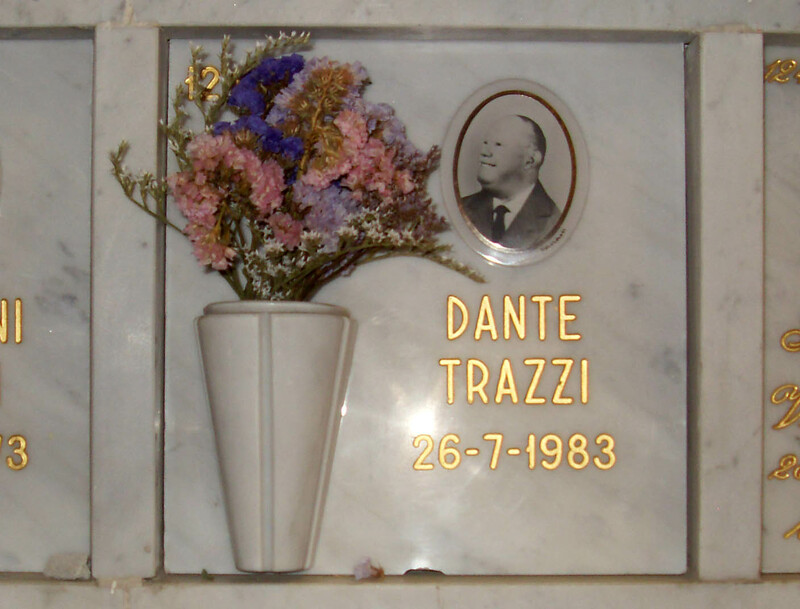 So he died in Milan on July 26th, 1983. Unfortunately there is no birth date. Rest in peace Dante. Thankyou for sharing this. Thank you for this very precious information! How did you manage to locate his grave?